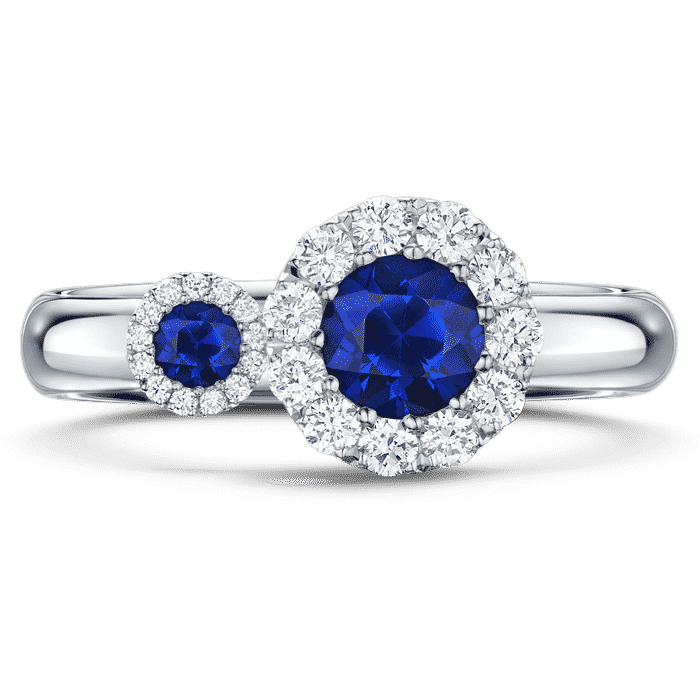 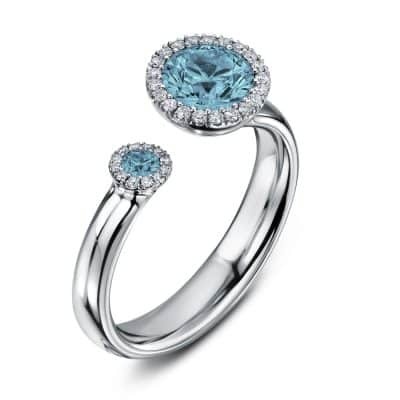 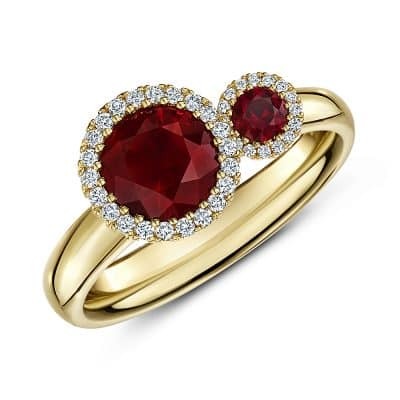 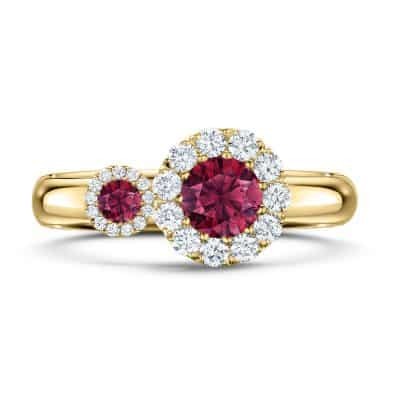 Two vibrant coloured stones, encircled by diamonds hold each other in perfect position. 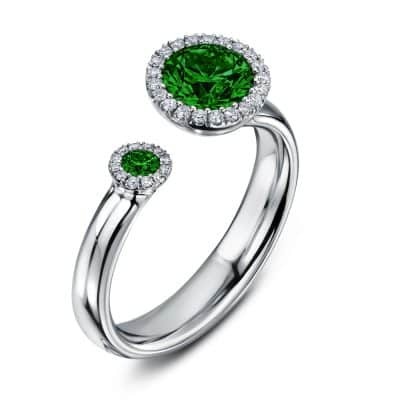 In between these settings is a break in form that is as integral and significant as the fluid precious metal. 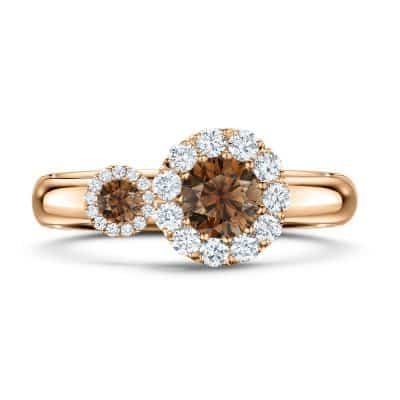 This signature collection shows an instinct and intuition for working with the most stunning of stones, to its ultimate, most engaging effect.